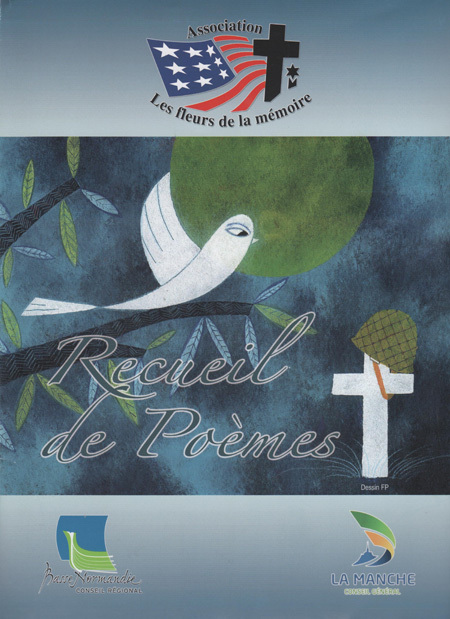 In 2004, the association edited a limited number of collections of poems and texts written by rench families who adopted one or several graves in one of the American Cemeteries in Normandy. 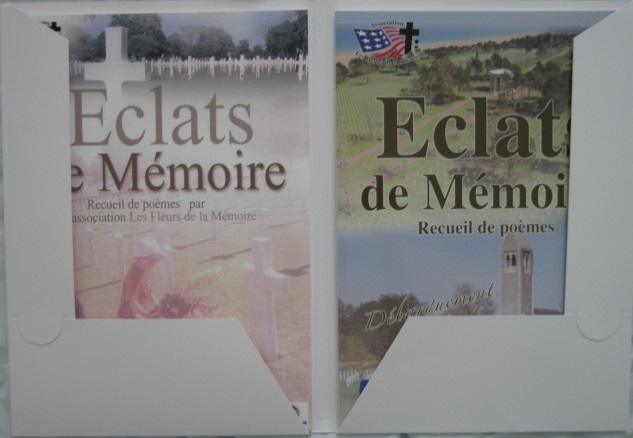 In 2014, several members and supporters participated in the writing bee upon the 70th Anniversary of D-Day. Consequently, a collection was edited and displayed during the annual Congress on April 19, 2015 in Avranches. The association make the most of it to republish the one dating back from the 60th Anniversary of D-Day. The two collections are inserted in a jacket illustrated by a painting an adopter realized paying homage to » her soldier ». Ever since, any member willing to get it can send a 15€ donation minimum, plus additional shipping costs. From June September 2014, many commemorations marked the the homage due to the young people who came from other places to liberate us from the Nazi yoke. Flowers of remembrance emerged from French people paying tribute and gratefulness laying them at the foot of Latin crosses, Stars of David, or else in front of the Wall of the Missing. This is the first duty of our action. But we must not forget for tomorrow not to be a new ordeal of sufferings on Earth. With this in mind, the association addresses young people in schools, junior highs and high schools. We accompany them during their visits, reflections,... We have already raised awareness of our action among more than 1 000 students of all ages. This is the reason why we started our « Page of writing ». Their writings, their testimonies associated with those of the members who took pen in hand enabled for produce this sexcond collection following on the one edited in a limited number in 2004. The association decided to gather the two volumes in the new edition. A judging panel got constituted and selected a great number of creations. Those who felt the feeling to write, messages of love and peace be thanked. In the name of the Board members and myself, I want to thank Mr. J.F Legrand, president of the Manche departmental council, L. Beauvais, president of the Lower Normandy regional council, J. Lhuissier, director of the Manche National Education departmental services, P. Gosselin Manche Congressman and the association of the Banque Populaire de l'Ouest Members, without who this book could have been realized. Finally a big thank-you to Catherine Meunier, our secretary who took charge of page layout.